Franklin Delane Mask, known to many as "Corkey", age 77, resident of Oakland, Tennessee and husband of Peggy Joyce Milner Mask, departed this life Thursday afternoon, September 6, 2018 at the Methodist LeBonheur Germantown Hospital. Services of Remembrance for Mr. Mask were held at 11 A.M. Monday, September 10, 2018 at the Peebles West Funeral Chapel at Oakland with Bro. Rudy Doyle officiating. Interment was private. Arrangements were provided by Peebles Fayette County Funeral Homes & Cremation Center - West Chapel at Oakland. Mr. Mask was born December 25, 1940 in Memphis, Tennessee, the son of the late Howard L. Farris and Zadie Mae Bell Farris and the late James Delane Mask. He was a graduate of Frayser High School Class of 1958 and served his country in the United States Air Force. 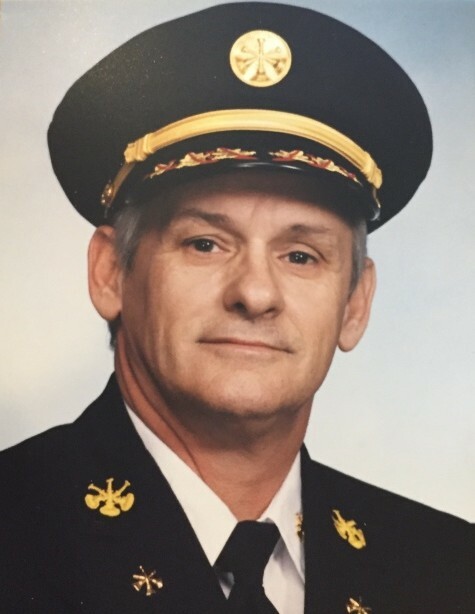 He was married June 12, 1960 to the former Peggy Joyce Milner and was employed as a firefighter for the City of Memphis before his retirement. Mr. Mask was a resident of Memphis before moving to Oakland in 2000. He was a member of Egypt Baptist Church in Memphis and enjoyed Harley Davidson motorcycles and golfing. Corkey will be remembered for being a loving husband, father, brother, grandfather, great-grandfather and friend. Mr. Mask is survived by his wife of 58 years, Peggy Joyce Milner Mask of Oakland, TN; four daughters, Renee' Wheeler (Mike) of Arlington, TN, Deanna Mask of Lakeland, TN, Leslie Ward (Kevin) of Jackson, TN, Susan Mask of Cordova, TN; three brothers and two sisters all of Oregon; nine grandchildren and eleven great-grandchildren. He was preceded in death by his parents, Howard L. Farris and Zadie M. Farris. The family requests that in lieu of flowers, memorials be directed to St. Jude Memorial Giving, 501 St. Jude Place, Memphis, TN 38105-9959.